Resort and lift serviced mountain bike park. Review: The All Mountain Trail is the best track in Australia... the top half is moulded into the landscape with hours upon hours of work bin put in. Cobblestone like trails and very technical. The lower half of this trail has berms upon berms upon berms big ones some 6 feet deep. Best track in Australia. Serviced by chair lift, in winter is a ski field. Do yourself a favour and do Thredbo.... would be more awesome on a downhill bike. 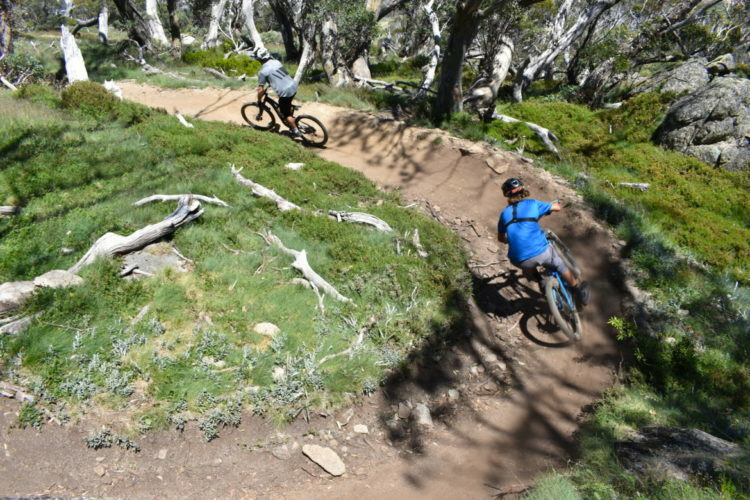 Thredbo Mountain Bike Park MTB Trail 5.00 out of 5 based on 1 ratings. 1 user reviews.